Interior design is an 18 billion dollar industry that’s steadily growing. That statistic sheds light on the reality that now more than ever, Americans are looking for ways to improve their home to increase their comfort and make it more “awe-worthy”. If you’re trying to improve the overall look and feel of your home by reupholstering your furniture, you’re in the right place! Upholstery design is a cost-effective way to give your furniture a second wind and heighten the quality of your home. But how do you choose the right kind of upholstery design for your furniture? Our team at Associate Designer Service have put together this list of tips to help you maximize your upholstery design selection process! When choosing the right kind of upholstery redesign for your furniture, you’ll want to have value in mind. Your value number should be based on your original furniture piece’s costs plus any sentimental value you may have for your it. Understanding your furniture’s value and comparing it to the cost of getting the piece reupholstered can help you decide whether or not the process makes fiscal sense. Reupholstering furniture has the incredible ability to take a piece and make it look like it did on the day you bought it. It also has the ability to take the bones of an old piece and make it into something completely new. Consider which you’d prefer when getting your furniture reupholstered so you can seek out design services that best fit your needs. The fabric you use for your upholstery job will be at the heart of your redesign. It’s what everyone will see and what you’ll need to live within your living space on a daily basis. 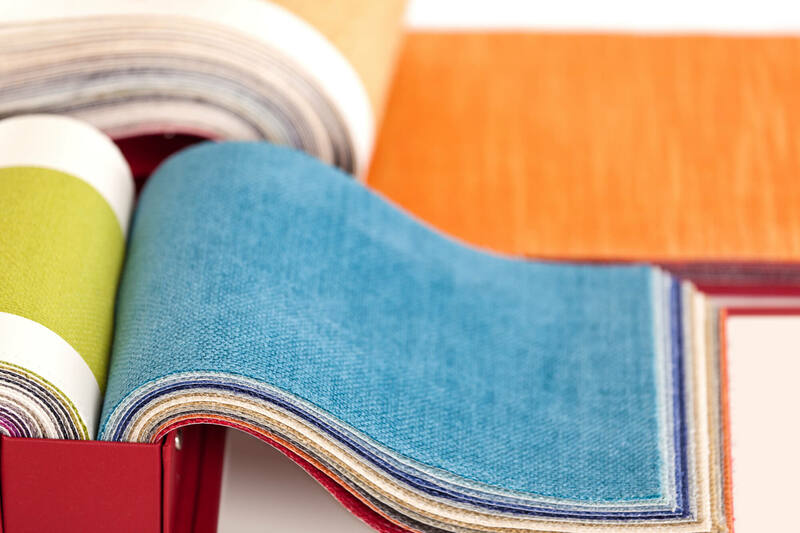 The core things you’ll want to consider when selecting fabric for your upholstery job is the material’s look, feel, and cost. When picking fabrics, some of the core categories you’ll pick from are as follows. Natural fabrics encompass wool, leather, linen, cotton, silk, and vinyl. Popular synthetic fabrics include acrylic, nylon, acetate, olefin, rayon, and polyester. Good interior design is an art of synergy. The sum of a room’s parts should equal more than they do individually. To that end, all of your design decisions, from fabric to the overall style of your piece, should be aimed at working well with the palette and other furniture pieces of your room. For example, would your room benefit from your reupholstered furniture being an accent piece? If so, going with a fabric that has patterns could give your space that pop you’re looking for. If your room’s decor already pulls your attention towards a lot of different areas, you’d probably benefit from upholstery that is unassuming. To help with this, take a picture of your space and discuss it with your upholstery professional to come to the best conclusion on what type of fabric, padding, and style your design should implement. Getting your furniture reupholstered can improve your space and save you hundreds. In order to find the right design for you, consider the value of your piece. Also consider if you’re looking for restoration or something new, the type of fabric you want and how it will look in your space! If you’re looking for professional upholstery design services, look no further than Associate Designer Service. Our team has expertly rejuvenated furniture for a ton of satisfied customers. We’d like to do the same for you! If you’re interested, contact us for a consultation today!